Assembled Size: 21� L x 27"H x 11"W; Figure-only: 21"L x 9"H.
One of the most popular dog breeds in the USA, this Labrador Retriever is ready to adorn the rooftop of smaller structures, sheds, and gazebos. 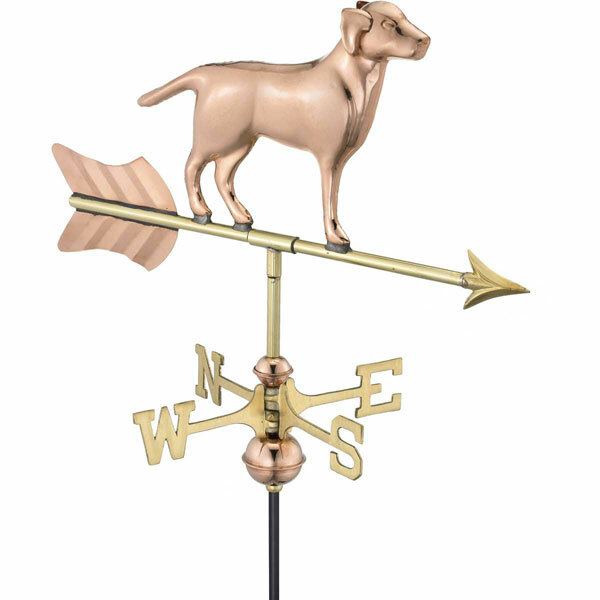 For over 35 years Good Directions pure copper weathervanes have been unsurpassed in style, quality, and durability - perfect for the house-proud homeowner. Bring The Joy of Outdoor Living? to your home with this heirloom-quality piece.